Whether its testing social scenarios or operating a billionaire's abode, it seems we've only just scratched the surface of what artificial intelligence can do. With that in mind, Google's latest trick in machine learning is not quite yet out of a science fiction novel, but certainly something intriguing: an AI that adds accompaniment to your piano playing. Built on artificial neural networks more than old-fashioned programming, Google coder/musician Yotam Mann unveiled his open-source "AI Duet" late last year, according to VentureBeat. 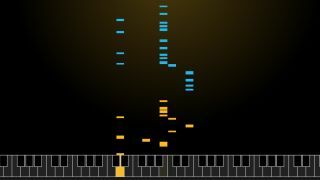 Now, the piano-inclined bot is playable on both desktop and mobile browsers, allowing just about anyone to try their hand at tickling the digital ivories with AI backup using only a keyboard or touchscreen. Whenever a user plays a little ditty on the AI Duet's piano, the program plays back a response with its own spin on it. This ability is bolstered by an open-source library of audio created by Mann and Magenta - a Google-powered machine learning infrastructure designed with art and music in mind. While interpreting and embellishing musical notes is humanizing to say the least, AI Duet isn't the only Google-backed neural network project that loves the arts. The Big G has reportedly used romance novels to teach its AI more natural conversation skills.